How do you design a user interface (UI) to be understandable and easy to interact with? In this series, I’ll give some thoughts on good design, combined with examples. But many teams don’t have access to a UX expert. The ‘UX team’ dot points above will be replaced by developers or product managers with a much wider focus. If that applies to you, then this article is practical advice to go from an initial concept (whether that’s a UI mockup, or a first-version UI created by a developer as they implement the feature) and refine it. It may not be the approach taken in a large corporation, and it won’t address graphic design or ‘good looks’ until the very final blog post, but these steps will teach you principles or give you guidelines for creating something both modern and highly usable by your users. We’ll start with an example of a bad UI, one based on a real-world dialog I saw recently. For the sake of this article, let’s assume this UI is either a draft / first-run UI created by a developer as the feature is being developed, or is the first wireframe or mockup of a UI as you create the specification for an upcoming feature. It may also be an existing UI that you want to improve. However the UI is arrived at, throughout this series we’ll improve it, examining useful principles you can use to either improve your own UIs or create great new ones, in practice. 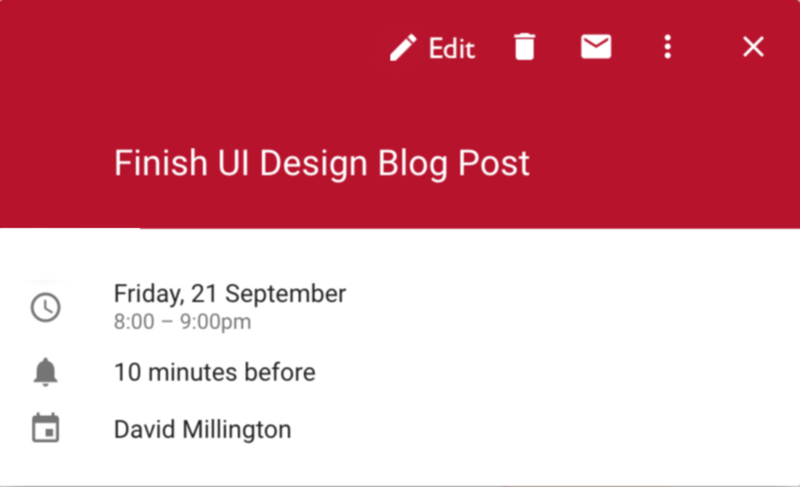 If it is an existing UI, this refines it; if it is a mockup, this illustrates practical approach to the review and refinement process to arrive at a final mockup and behaviour for your feature. What do we mean by UI design? And does it overlap with UX? UI design is simply designing a user interface. UX is a term for ‘user experience’. Effectively, UX is the overall effect of using an application. Was it clear? Frustrating? Pleasant to look at? (Note those three things all speak to different aspects of the experience - clarity, intuitiveness or understandability, and graphic design.) It’s a broad term, but ultimately you want your application to have good UX in that you want your users to feel happy using it. Providing an intuitive flow to your application is key for new user adoption and retention, and well thought out UX provides that. That’s also a reason why a growing number of companies perform UX testing with focus groups during their application development cycle to ensure a good user experience. UI design is a key part, but is not the whole, of good UX. This series focuses only on designing your user interfaces. In addition, this series focuses on practical UI refinement, and on usability. Shiny good looks are left to the very last post. Let’s begin with some basic principles that will be elaborated on through the series. We will look at specifics as we go through the series and improve the example ‘bad’ dialog in practice. Function not looks. A well-designed UI does not mean that it is pretty. There are many nice-looking UIs which are hard to use. We will examine how to make a UI look aesthetically pleasing, but this is one of the last steps in improvement. Communicate relationships visually: a UI is not just boxes placed onscreen, but related boxes placed onscreen. Understand the relationship between data shown onscreen, and use visual layout to communicate that. Grouping into logical categories is a great way to add structure to your UI. Simplicity is not clarity. Simplicity, such as only a few controls, does not mean it is clear. A cluttered UI also has that effect, so striking the right balance is key. It is common, if you are used to desktop design, to use too many controls when designing your first mobile UI. Similarly, you may try to follow modern desktop design by using a sparse layout, mistaking few controls for use of whitespace. Both these can be mistakes. Be cautious in innovation. Try not to invent new controls or styles. They may be fun but can be confusing to the app user. Usually, your operating system or UI library will provide premade controls that users are familiar with. For example, Windows 10 provides some new controls (switches and calendars, also provided by the VCL) that while new in the OS, are not new in that users are already familiar with the concept, and by being used throughout the OS are quickly standardized. Following OS UI guidelines and using common controls ensures quick understanding of a UI, thus increased usability for your users. Copy what other people do. Follow conventions; don’t surprise the user. 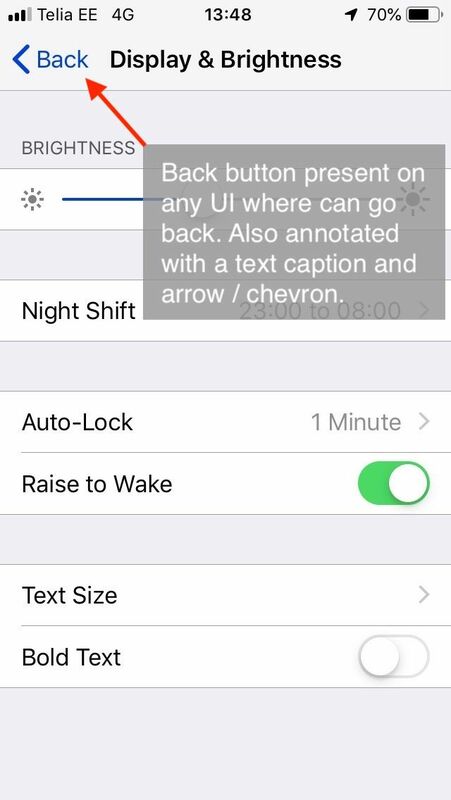 If there’s a common pattern in other UIs, use that. Users will understand it. The last two points are related to ‘intuitive UI design’, something often mentioned, meaning a UI that users can pick up and understand without preconceptions. A large amount of what is ascribed to making a UI ‘intuitive’ is in fact not a new concept easily understood; it’s familiarity, meaning people ‘intuitively understand it’ not because of some magic design that makes it truly intuitive, but because they already know how to use it, even if they don’t realise that. Almost no-one invents truly intuitive new paradigms; it happens maybe once or twice a decade. Many of the criticisms of current UI design trends, such as Material Design, revolve around removing cues that provide familiarity. When the iPhone was released, Apple had in-phone training to teach users the new paradigms. Many things were intuitive: they were modeled on physical interaction (skeuomorphism), such as buttons being 3D and looking as though pressable, or lists being able to be flicked to scroll. ‘Pull to refresh’, one of the most common mobile interactions today, was invented in 2008 by Loren Brichter for Tweetie, a Twitter client. It’s a great example of a non-skeuomorphic interaction paradigm, in that in the real world lists do not have items appear at the top, but scrolling to the top of a time-sorted list is the obvious place to discover more recent items. I recently saw a friend, an Android user, pick up my iPhone and try to go ‘back’. For a few seconds, their thumb hovered over the bottom left of the screen and they audibly said, ‘ah…’ in a confused tone, before hitting the Back button on the top left. and has a text caption. Back in both OSes is on the left, and the direction indicator faces left. This mirrors Western physical textual UIs, books, where earlier content is accessed by paging left. The last point is one of the most significant criticisms of current UI design trends: removal of subtle indicators. This isn’t always a problem - consider toolbars in desktop apps, where in the late nineties, starting with Office 97, they were rendered without 3D borders by default. Later, even the mouseover 3D borders were removed and today it’s common for them just to highlight with a solid colour when moused over. People have learned that images in a horizontal row are usually clickable, so any toolbar today is ‘intuitive’. Many current trends have images in many random places, some of which can be clicked and some cannot. There is no way to visually tell the difference. That is unintuitive design. It has a title, and some details in smaller text. There is also a row of buttons to interact with the event in a number of ways at the top: close, delete, email, and a hamburger item to see more: a toolbar, a familiar interaction. How do you edit the event? The Edit button is nowhere near any other interaction. It is halfway between the title and details, and has almost the same background colour as the title background, making it hard to visually spot - it does not stand out. Here, Edit is an action on the toolbar like all other actions. It is found when looking at the list of interactions: it is no longer standalone and needing to be discovered separately. Because it is the most important, it is placed first, and it is annotated with a text label so it is clear - you do not need to interpret the pencil icon to know what it does. The original is a great example of an unintuitive UI: a specific interaction needs to be learned, and you cannot apply rules you already know (toolbar buttons in a row, look for interaction with other interactions) to this case, nor is it visually distinct or called out. It is a once-off, unique action, camouflaged. Those principles may sound good, but describing visual design in words is not as useful as showing it implemented in practice to turn a badly designed UI into a clean, modern, understandable and intuitive UI. Over the next couple of posts, we’ll look at an example badly designed UI and improve it, following the principles above. 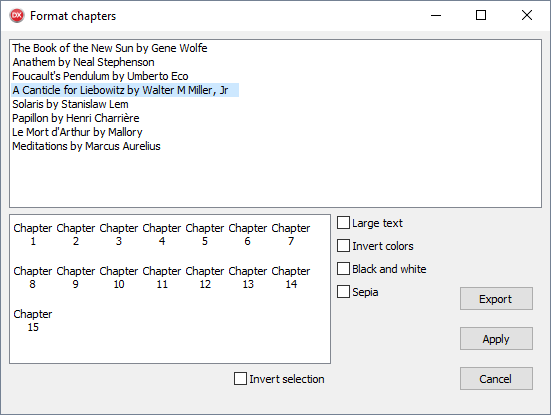 Why am I selecting chapters? Am I, or are they just being displayed? How do the formatting options interact? What if I check both Black and White and Sepia? Or Sepia and Invert Colors - will I get something mostly blue? Can I select multiple books? What selection does ‘Invert selection’ invert? How does that work, anyway? If I uncheck it, will it change? What if I change my selection in the meantime? Questions like these indicate confusion. This is a simple UI, with only a few controls, yet it creates uncertainty. You want to empower your users, and make them feel they understand what they’re interacting with and what they’re doing. A dialog that causes questions is a good indication that the UI is suffering from some design problems. We will use this dialog as our starting point, and improve it throughout the series. Next post, we’ll see some guidelines on how to analyse a UI and discover an underlying structure that can be clearly presented. 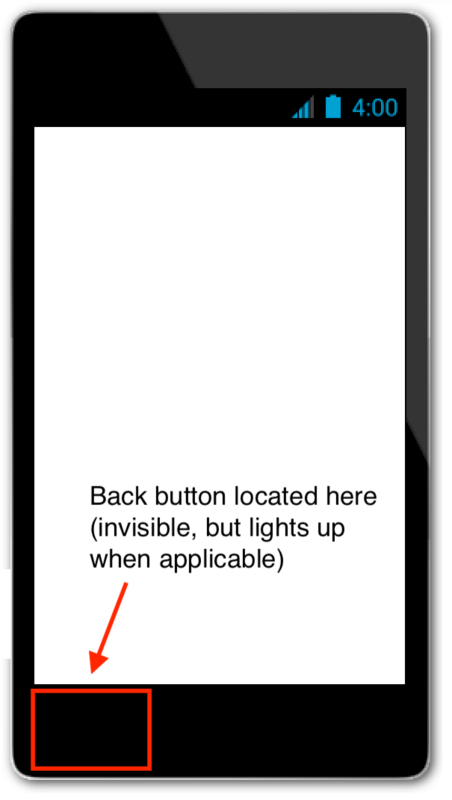 That structure can then be reflected in the UI design. The ‘bad’ UI mockup we have will be refined. Until then, the exercise of asking questions about a UI is a good one. Try picking one of the dialogs in an app of yours, and approach it trying to know nothing about it. What questions, like the above list, can you come up with? Pretend you’re tired, have not yet had a coffee, and are unfamiliar with the app -- and see what questions you might ask. 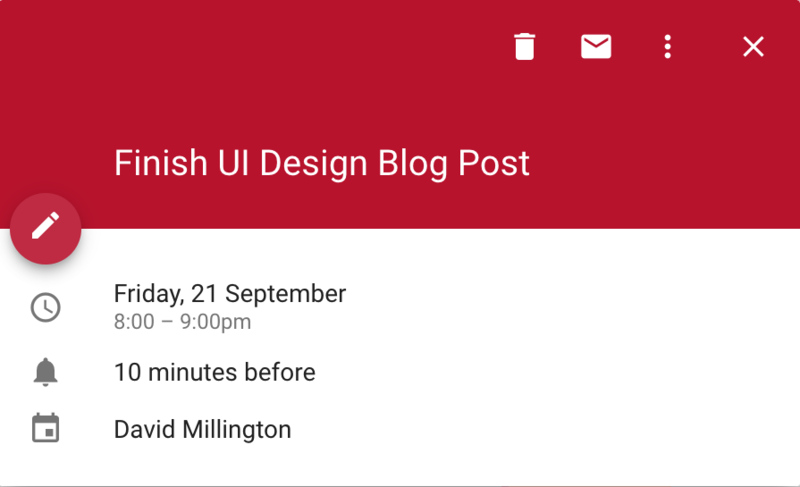 Update Oct 3: Part 2 of this Great UX Design series is published. Read it here! Please SPAM somewhere else, this is for serious people. Hi! Have problems with writing a memo? On this website you can read some tips on how to write this type of assignment. It is very hard to understand the difference between UI and UX but the information and things you described is very informative and I am waiting for your second part before this I have the concept that there is no difference both of them because I am also UI and UX developer and it is the start of my carrier and it is important for us to make a good UI UX website for the users when I was in university I also write my university assignment writing uk on the same topic but that time I didn't understand the things. Just come across this posting on the new forum. But the link to "Part 2 of this Great UX Design" goes back to a posting on 3/10/18 on the old forum and there is no indication of how to get to the next part, "Part 3", which I suspect now exists. Can anyone tell me where this is. It's great to have these types of "overall design principle" articles. Even if some people disagree with parts of the content it gets you to think "why do I disagree" and in many cases doing so will either highlight what is special about your case (and therefore why the disagreement is logical) or will make you realise that perhaps there is a better way of doing things. There are different preference by every designer and developer and David is presenting his own. And another thing is that, this article is concluded to another article i.e part2 of this article. My Buy Science Assignment Online developers have been following david's article for a while but they design with their own creativity. Articles like this are badly needed. It is so easy to create a bad UI. As you said, ideally, it shouldn’t be the developer that designs the UI; (s)he is biased and has a technical background, making it hard to look at his/her design from a user’s perspective. But we don’t all have the luxury of a dedicated designer, so this is a must-read for developers doing UI design. Looking forward to the rest of the series. I’m curious about your thoughts on cross-platform pitfalls. It is easy to create a single FMX form for both mobile and desktops, and tweak properties in platform-specific views. But the paradigms are so different that it may be better to create different forms for mobile and desktop altogether. Following OS guidelines is always good. Stating the opposite was not my intention. Could you explain where that came across please? I'll correct it in one of the followup posts. FireMonkey, which is our cross-platform tech, is in fact intended to do exactly as you recommend. Tabbed panes, for example, will render using iOS conventions on iOS and Android conventions on Android - and the same for macOS and Windows. Thank you , continue this series!